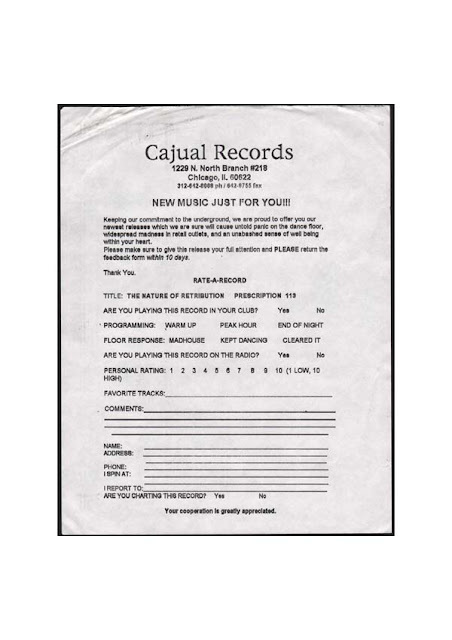 DJ Feedback Form from the popular old school house music label, Cajual Records. 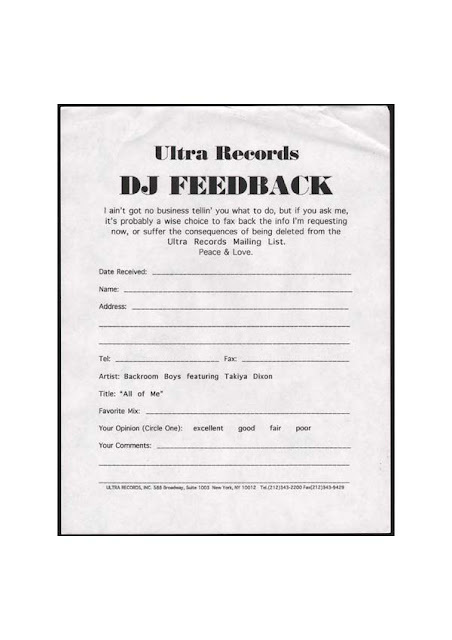 One interesting thing that we find while crate digging are DJ feedback forms. Back in the day, before the internet and the age of instant feedback, record labels like Ultra Records and Cajual Records had to send out DJ feedback forms with their releases in an attempt to get some feedback on underground dance music. Shown are a couple of examples of DJ feedback forms, one from the classic Chicago old school house music label, Cajual Records. 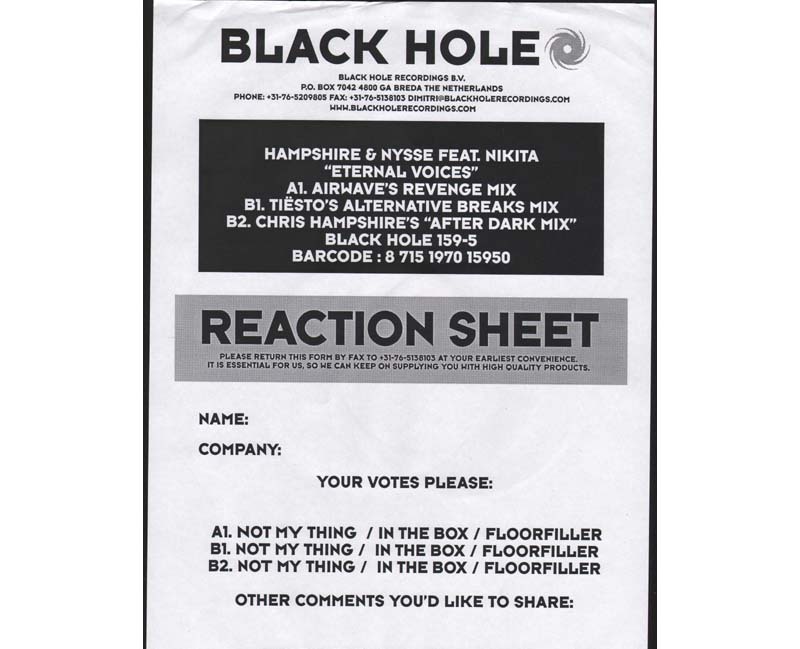 Anybody have any interesting examples of these DJ feedback forms? These often come with the record collections that we buy. Any of you old school DJs out there ever fill one of these out? 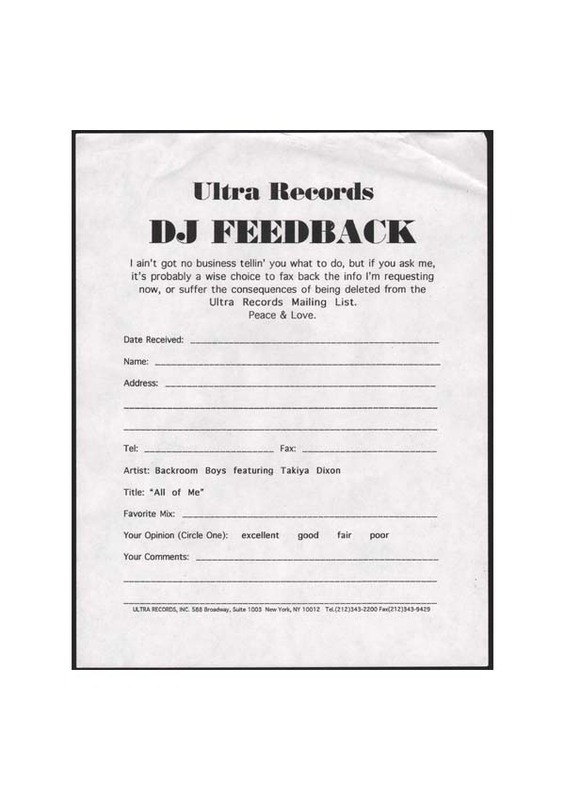 Out of curiosity we'd also like to know if anyone still uses these, or if the internet age has totally replaced these DJ feedback forms and made them another relic of the 1980's. 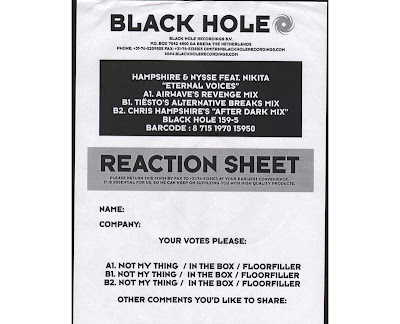 Here's another DJ Feedback form from the Netherlands based Black Hole Records, from 2003. Has anyone seen anything from 2008 or later? Your work has always been a great source of inspiration for me. I refer you blog to many of my friends as well. Thanks for the sharing of such information we will pass it on to our readers. I will share more of these soon, have a big stack here I have been accumulating. Thanks for the nice comments!